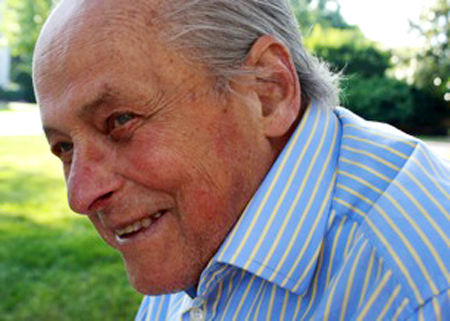 Shelter Island resident John Chobor Jr. passed away on February 1, 2012 in Southampton Hospital with his family by his side. He was born December 31, 1932 to John Chobor Sr. and Theresa Kovalchuk in New York City; his friends and family loved to say the whole world celebrated his birthday on New Year’s Eve. For the last 79 years, John showed those who knew him that compassion, love, faith and kindness could be lived out in one’s daily life, his family said. Though he was a builder by trade, he will be remembered not for the structures that he has left behind but the lives he has touched and the honorable and gentle mark he left on this earth, according to his family. John attended Brooklyn College before joining the U.S. military. He was proud of his time in the service, having honorably served in the Air Force, Coast Guard and Navy. His love of the water and desire to be involved with his community led him to serve as rear commodore of the Chelsea Yacht Club in New Hamburg, New York; president of the Shelter Island Lions Club and a member of the Gardiner’s Bay Country Club. He and his wife, Mary Catherine Chobor, made their home on Shelter Island after having lived in Ulster and Dutchess counties for many years. John was “the wholly dedicated and unconditionally loving” father of four children and five grandchildren, his family said. He is survived by Mary, his wife of 56 years, and his children: Anna Chobor of Sag Harbor, Karen Lawson of New York City, John Chobor of Madison, Connecticut and Christopher Chobor of Shelter Island. John was father-in-law to Jennifer Chobor and the late Bartholomew Lawson. He was the proud grandfather of Bartholomew, Nicholas, Mackenzie, Isabel and Katia. John was the loving brother of Olga Rosina and the late Mary Strenk. John’s church was extremely important to him. He was a founding member of the St. Gregory Russian Orthodox Church in Wappingers Falls, New York and member of the church counsel at Kmisis Tis Teotokou Greek Orthodox Church in Southampton. His funeral was held at Kmisis Tis Teotokou Greek Orthodox Church in Southampton on Friday, February 3, 2012. The family asks that, in lieu of flowers, donations be made in John’s memory to St. Gregory Orthodox Church or Kmisis Tis Teotokou Greek Orthodox Church, c/o RG, 575 Madison Avenue, 10th Floor, Room 64, New York, NY 10022.